Combine 1/2 cup alcohol, 1/4 cup dish detergent and 3 tablespoons vinegar. Add all the ingredients into a spray bottle and fill with water. Shake well! Done! Use as you would any other commercial window cleaning product. Be sure to shake well and get the solution all mixed up otherwise the dish detergent will try to be soapy on you. If you still have problems with it being too soapy you can cut the dish detergent back some. 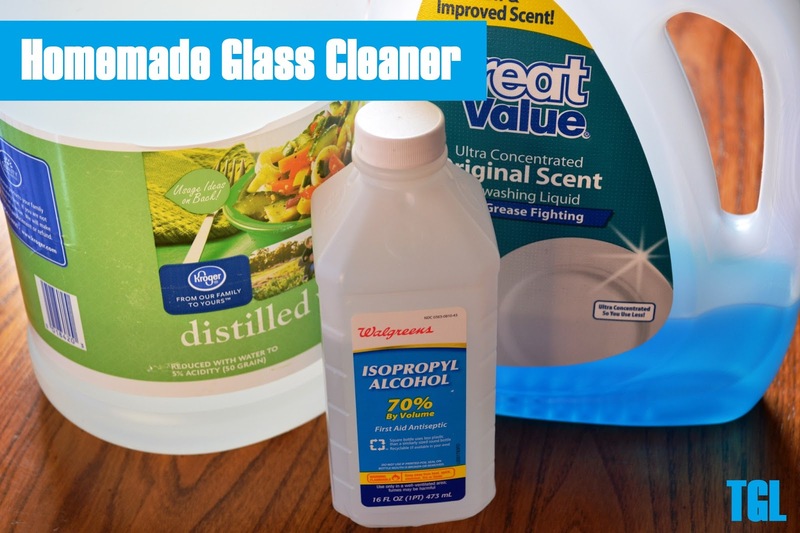 You can find my other homemade cleaning solutions here. What size spray bottle did you use? I have a couple different sizes, and I’m thinking 24 oz., but thought I would check! Thanks. I just used an old glass cleaner bottle.